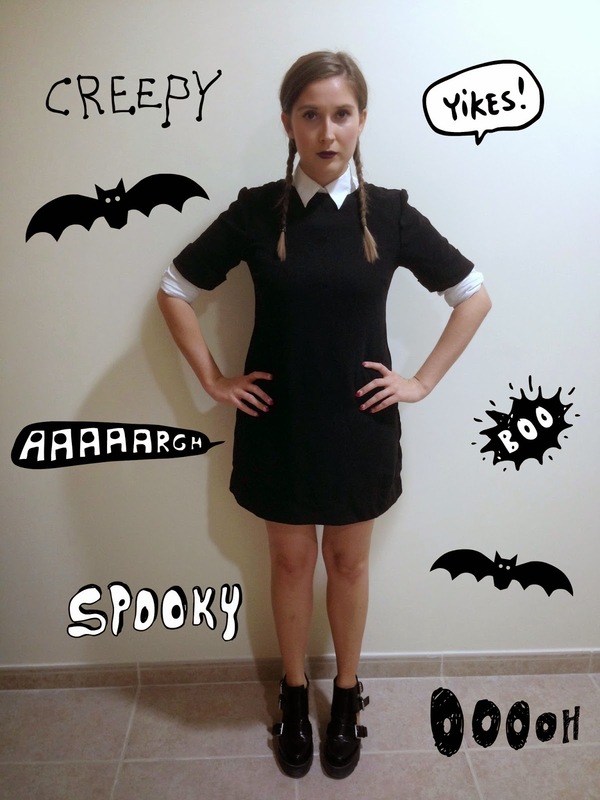 i wish i could wink: Halloween! I love Halloween, which is kind of weird as I am a total scaredy-cat when it comes to horror films - I can barely watch Casper. This year, we went to a house party followed by Cirque De Soir, and I wasn't planning on wearing a costume as it was all a bit last minute. 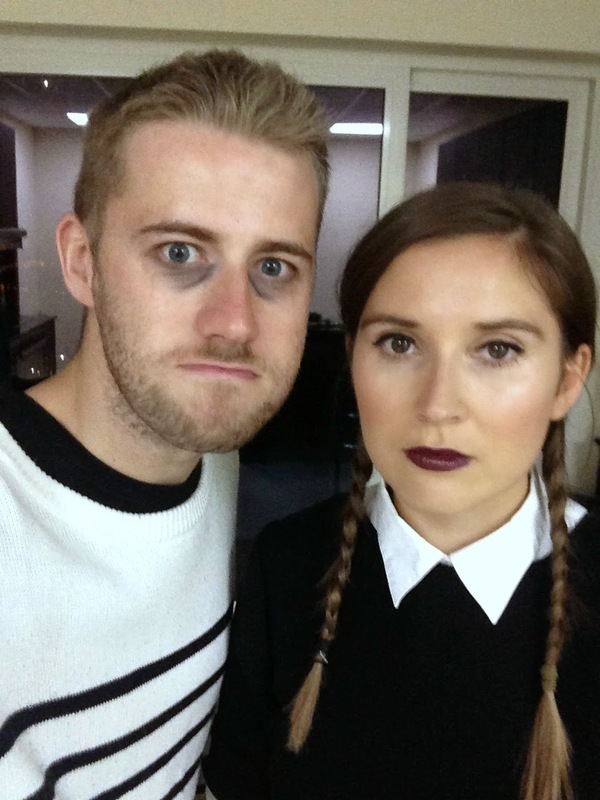 However, not one to shy away from a good dressing up opportunity, I had a look through my wardobe and found I had the perfect Wednesday Addams outfit! I don't actually know what shoes she wears but I could totes imagine her rocking these chunky boots. My boyf is dressed as Pudsley, he has my jumper on and one of my crop tops underneath - haha! 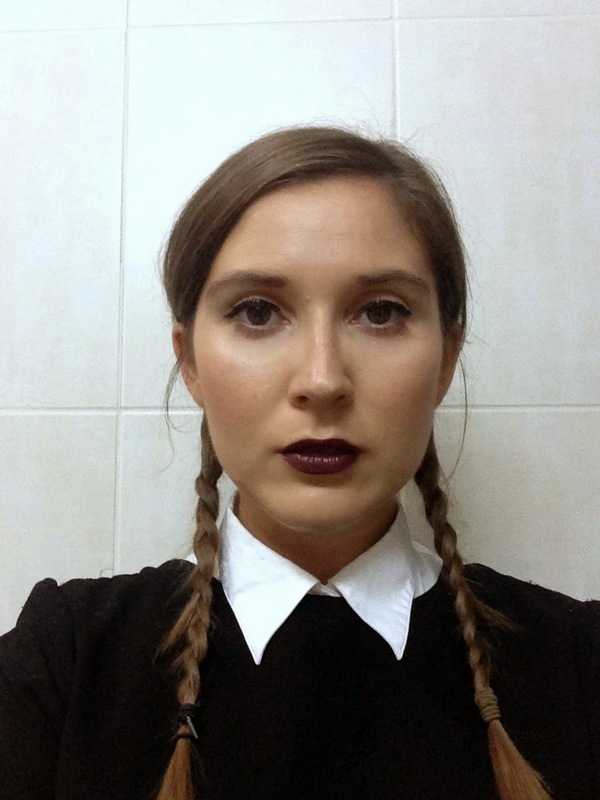 I love a good white shirt under a dress anyway, so to be honest I would prob wear this outfit again, minus the pigtails, dark lipstick and surly expression. I actually even quite like the pigtails, I've been wanting to try them since I saw Alexa Chung at the Topshop Unique show sporting the 'do. Thoughts? Cute or cringe? You make such a pretty Wednesday! 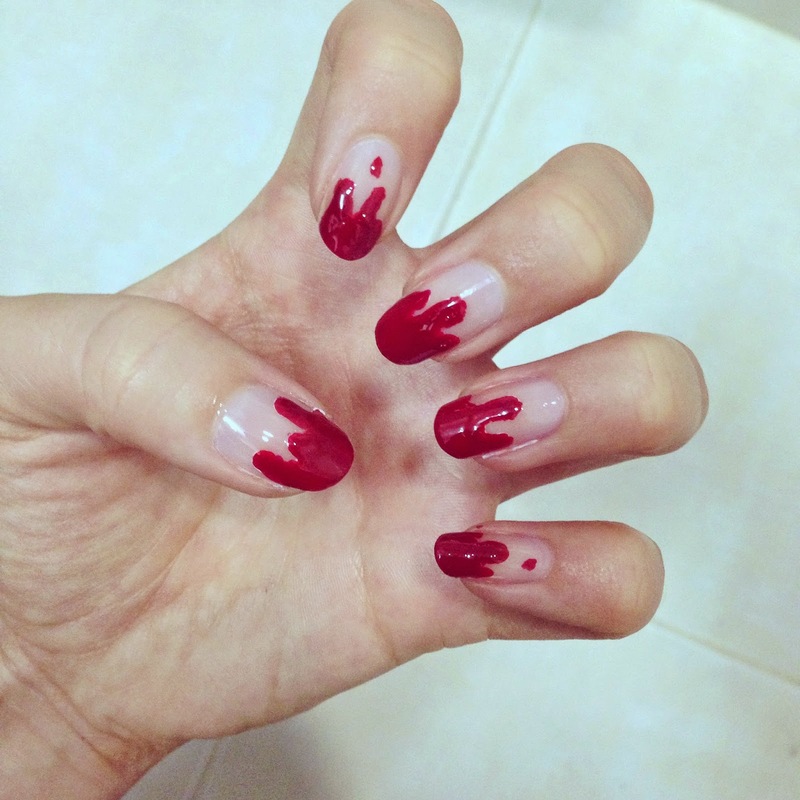 Love your nails. Fab idea for a last minute outfit and liquid liner suits you so much!